I’ve been meaning to blog about awesome London art collective Robots>>>> ever since I saw their work ‘Everything is Beautiful When You Don’t Look Down’. 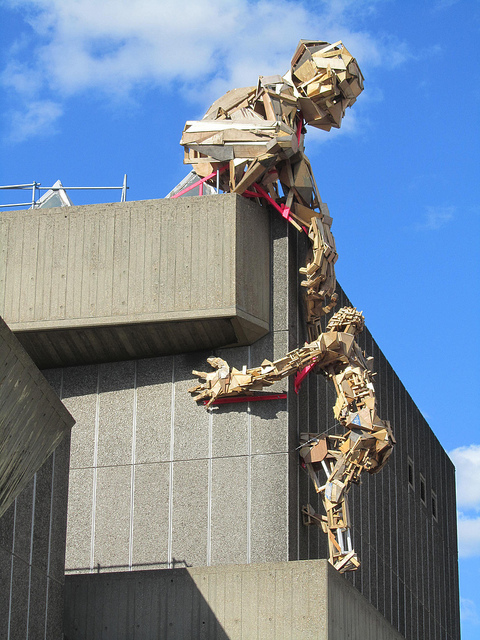 It formed part of the Festival of the World last year and featured two imposing figures made of reclaimed wood scaling the Hayward Gallery, one figure appearing to help the other. 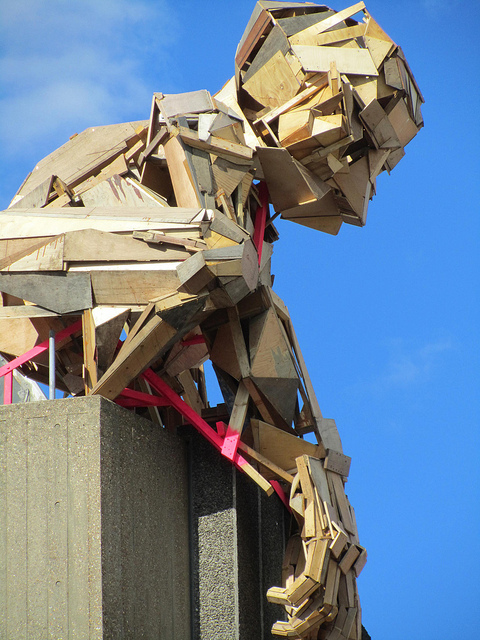 The piece was made predominantly from wood and steel which was used at the Southbank Centre’s 2011 Festival of Britain, with help from children at the Oasis Children’s Venture in Lambeth. 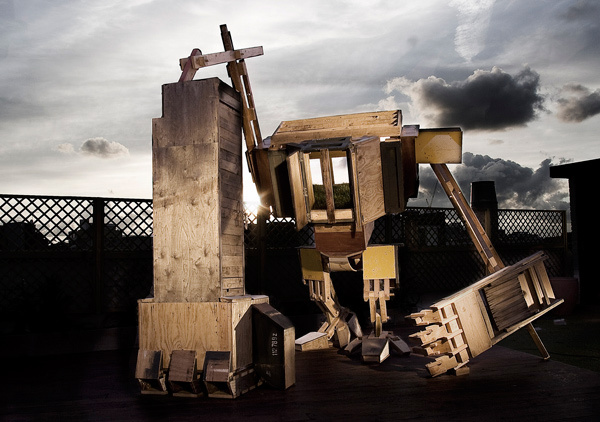 Robots>>>> is a team of artists who aim ‘to shine new light on public art’. 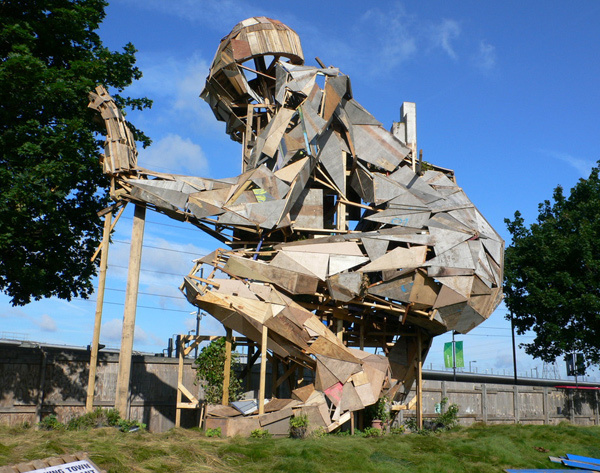 Their influences include nature, geometry, science and science fiction. 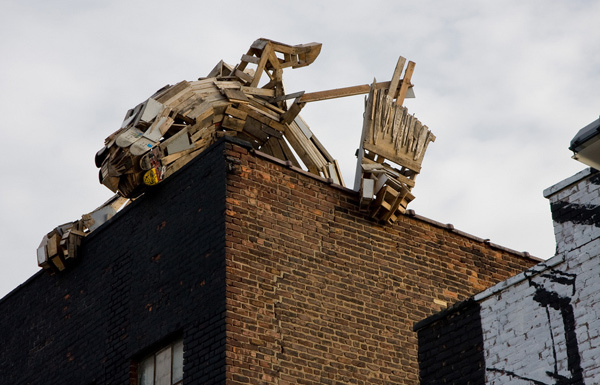 They work predominantly in reclaimed and recycled wood, old furniture and pieces that have been thrown away.